In 2007 the Eagles debuted a new home guernsey. The white number around the number was much thinner, and a new AFL mandate had the AFL logo printed in the bottom of each number. The front Puma badge was now printed on, not stitched on. 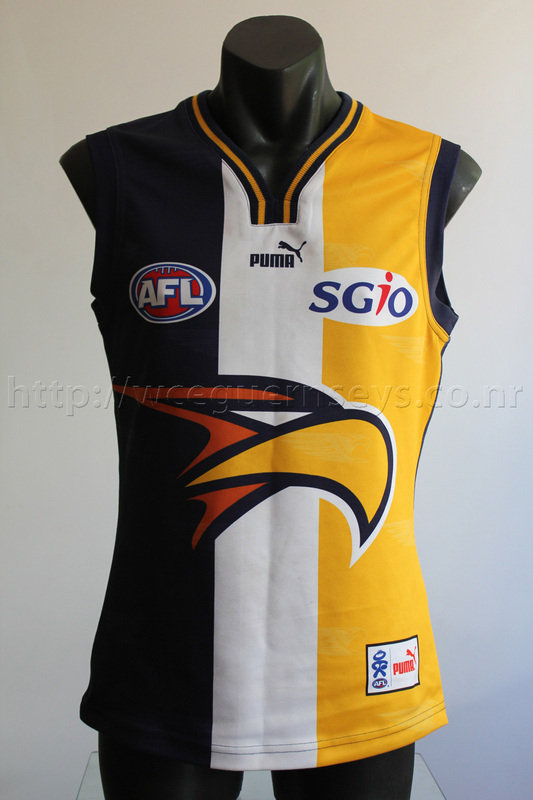 This was also the year the player issue guernseys took a marked difference from their retail counterparts. 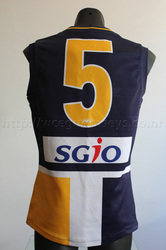 The material was made with part elastane which gave the material a more stretchy feel. The cut was more slimmer so it didn't hang from the body as much. The piping on the arm cuffs disappeared but bafflingly remained on the collar. The retail versions still retained the piping on the arm cuffs.